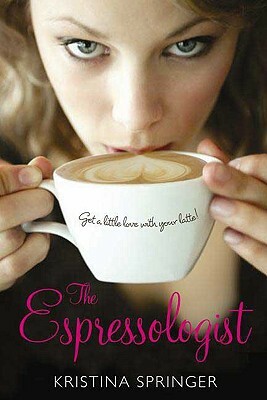 I am a writer who is mighty attached to my mocha lattes…so when I heard about Kristina Springer’s YA debut, THE ESPRESSOLOGIST (FSG, 2009), I couldn’t wait to read it. The premise? A teenaged barista does some match-making with her customers, based on their favorite coffee drinks and ultimately, finds love of her own. This book made me want to be sixteen again (just for a minute, because most of sixteen was traumatic) so that I could get all my friends together to read THE ESPRESSOLOGIST and then meet them at the local coffee shop to talk about it. Then, of course, we’d start our OWN notebooks to match people up based on their favorite coffee drinks, just like the main character, Jane. This YA novel is romantic fun at its finest – with great teen characters, a delightful budding romance, and enough humor to make it a sweet, sweet read. Looking for a great holiday gift for a coffee-lover? Pair this with a gift certificate to the local coffee shop, and maybe slip in a bag of chocolate covered espresso beans. Click on the book cover to order through IndieBound! This entry was posted in Uncategorized and tagged espressologist, kristina springer. Bookmark the permalink. Both comments and trackbacks are currently closed.